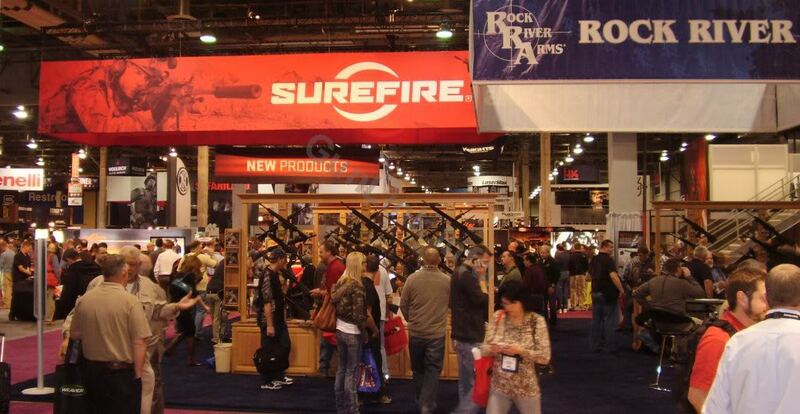 The opening of Attendee and Media registration for the 2013 SHOT Show registration is rapidly approaching. If you’re not one of those obsessive types who has already been anxiously waiting for this moment since the January 20th close of this year’s show, now is the time to start planning for next year’s show. The 2013 SHOT Show, the 35th in a series of shows which began in St. Louis in 1979, will take place January 15-18 at the Sands Expo Center in Las Vegas, Nevada. Attendee registration will open for all attendees on October 1st, 2012. Members of the National Shooting Sports Foundation (NSSF) are eligible to register early starting on September 17th, at which time State of the Industry Dinner tickets will also be available for purchase by NSSF members. An email will be sent to all NSSF members and SHOT Show attendees on or around their respective registration dates to inform them that attendee registration is open. All pre-approved media personnel should receive an email during the first week of September informing them that their show registration is open as well as additional information on Media Day at the Range registration information. General registration for all media will open on October 1st. More information about registration identification and validation for all registration types is available on the SHOT Show website. Watch the GunLink Forums, Blog and Twitter for more information about the show as it draws nearer.